Signs of the extent of the Roman Empire are everywhere in Portugal. We took a daytrip from our country inn in the Douro River Valley to the pleasant little town of Chaves to find out more. The Roman bridge dates back to the 3rd century. It still carries pedestrian traffic back and forth to both sides of the town. The town of Chaves has been inhabited since Paleolithic times. The region has seen persistent human settlement since Roman legions conquered and occupied the fertile valley of the Tâmega River, constructing a nascent outpost and taking over the existing castros in the area. The settlement was located at the convergence of three important Roman roads: the Bracara Augusta, Asturica, and Lamecum that crossed the Roman Province of Gallaecia, linking Rome to the region’s natural resources. It was a military centre known for its baths, which lasted until the 16th century. This civilization constructed protective walls to protect the local population; spanned the river with the bridge; promoted the baths (with its warm medicinal waters); exploited local mines and alluvial deposits and other natural resources. Its importance led to the urban nucleus being elevated to the status ofmunicipality in 79 AD, during the reign of the first Flavian Caesar, Titus Flavius Caesar Vespasianus Augustus. Its benefactor consequently influenced its toponymy, becoming known as Aquae Flaviae. 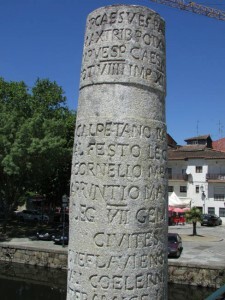 Artefacts from the area around the Matriz church indicate that Aquae Flaviae’s centre was located in this place, in addition to an ancient headstone showing gladiatorial combat. 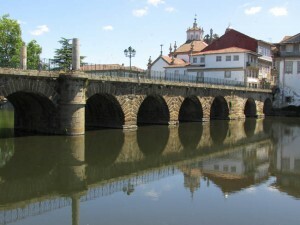 The Roman era bridge, emblematic of the city of Chaves, was constructed during the reign of Emperor Trajan to span the Tâmega River, in order to connect the Roman provincial settlements of Astorga (in Spanish León) and Bracara Augusta (now Braga) in Gallaecia. The structure still has Roman inscriptions on the principal columns, that identify the bridge and its dedication to Emperor Caesar Vespasianus Augustus. 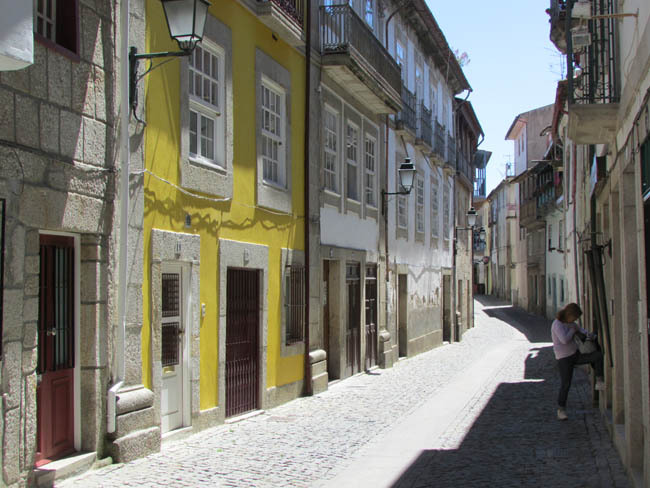 Posted in Europe Tours, Spain Tours, Undiscovered Places and tagged ancient, bridge, chaves, galicia, history, portugal, private, roman, spain, tours, town.